its now the end of another waterfowl seanson. Now we can rest but just for a little while. As some of you know there can be a lot of work preparing a field for next season. Out janurary turned out to be good we got limits of mallards several times during the last two weeks. The juniville hunt was this weekend ducks everywhere in bobota bottom.. We had only three hunt and after much shooting a limit was reached. I have seen more geese here than in years!!!! Snow geese every where. You can probably get permission to hunt them now especially if you find them in a farmers wheat field. Geese can do major damage to wheat. I hope you have a off season and I will be back in the fall. 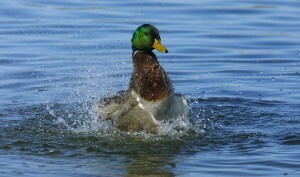 hunted bogota bottoms this weedend say a lot of ducks in the fields the ice has melted killed 6 mallards sat. Went to look at pit that was flooded and saw around a thousand ducks in this field plan on hunting it this afternoon, Saw a lot of ducks flying around lanesferry and bogota both. hunted ducks bogota bottoms 67 degrees 3 inches of rain. killed one duck didn’t see many has rained about 3 more inches this afternoon we will have a backwater soon and this should help our duck hunting. hunted farm saturday 14th in afternoon flooded corn field nw winds 37 degrees no ice. saw large groups of ducks heading south killed only one duck . also checked bogota farm at barbwire and saw a few ducks flying that morning. The blind at goochs kill only a couple of ducks each day this weekend. didn’t hunt monday but drove to duck hole and saw no ducks on water or flying. Drove from Bogota to great river road and also saw no ducks.Temperature 25 degrees. Talked to friend who has been hunting the blind at goochs and they killed only a couple saturday and the same Sunday. Hunted deer by duck hole saw seven deer no ducks. Temperature 24 degrees froze up. december 6 hunted gooch reserve in west tennessee killed ten mallards by 11:00 left blind temperature 28 degrees sleating all day. also went to bogota bottoms this afternoon to scout for tomorrow hunt saw bunches of ducks will hunt in the morning. hunting west tennessee gooch reserve opening morning shot 19 mixed bag ducks a lot of ice. friday saw lots of ducks in the bogota area did not hunt fields froze up. Hunted the Holston River in the Hawkins County area this morning. Not a bad morning, fog didnt lift until after 8AM. Saw approx 20 ducks. Only got 4 mallards to set in on my decoys, 3 greenheads and 1 hen. Hopefully the cold temps (10* and 16* the next 2 mornings) will yield a better result. Travis — we finally have arctic cold temps here in IL. If it stays this cold for a few days it just might kick more birds south.